Oprah is not someone who’s name needs an introduction but for tradition’s sake we shall include one. Oprah Winfrey is an American talk show hostess, actress, philanthropist and much more. Despite her rough background she is the first self-made African American billionaire with a net worth of 2.9billion USD. Oprah is simply an inspirational figure so without further ado, here are some of the seven lessons we can learn from her. Oprah grew up very poor, her family often had to use potato sacks to make clothing. She was nine years old when she was first sexually abused by her cousin and in the following years of her life she faced more abuse from her relatives. At fourteen years old, Oprah found out she was pregnant, gave birth two months early and then the baby died two weeks later. Despite all that she’s endured she’s now a billionaire with the most viewed talk-show in the world! From this we can all conclude how your beginning doesn’t dictate your end and we all have the potential to achieve great things. Part of what made Oprah the woman that she is today is her ability to trust her instincts and intuition. It’s her ‘intuitive sense’ which led her to move to Baltimore to further her career and this later on led to the opportunities which made her successful. Even Oprah has had a go at making some ‘mixtapes’ earlier on in her life though none of them have made it public with Oprah saying how she got “sick of hearing herself”. And Oprah did not stop there, she even has experience dancing on stage with Tina Turner! Oprah is a prime example of how life is too short to do the same old thing but instead, we need to simply go with the flow. 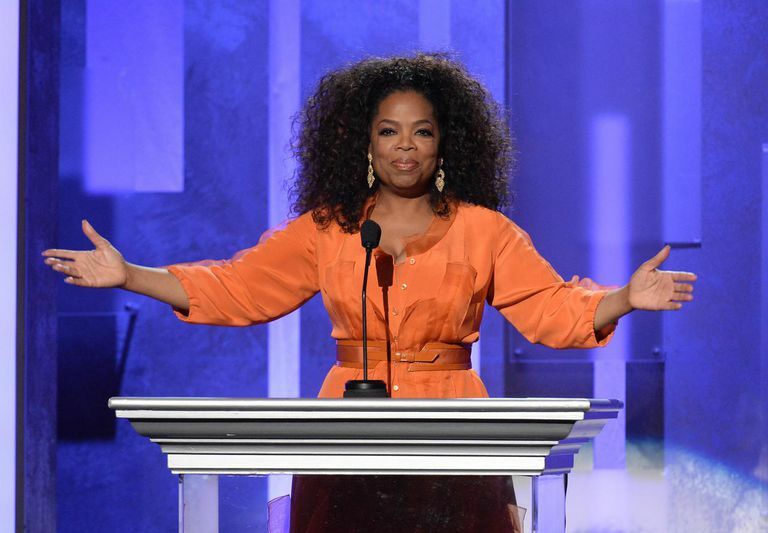 Whether it’s about racial injustice or sexual injustice, Oprah has never been afraid to talk about the importance of “speaking your truth” or speaking up on behalf of those who are too frightened to do so, for example, at the Golden Globe Awards where she used her speech to fight for all the women that are having to endure sexual harassment at their workplace. We all have a platform and it’s not about how big or small it may be but instead it’s about how we choose to use it to create change. We live in a systematic society where ethnic minorities can only reach a certain level of success before they experience repression which stops them from moving forward. Oprah is one of the women who have broken down barriers and stereotypes, especially as she’s working in a field which is typically dominated by white males. Oprah, along with many other successful people have showed us how our mistakes do not define us and making a mistake doesn’t suddenly make you a failure. What most people consider to be a failure, Winfrey simply considers it to be another lesson which will take her closer to her destination. We can only be great once we become comfortable in making mistakes and learning from them, so that we can become the best version of ourselves. Overall, I think that the greatest lesson we can learn from Oprah is that there’s power in loving yourself, especially when we live in a society which profits from our insecurities and when we embrace who we are we can pass on the love to create the world which we desire to see. Which lesson was your favourite?